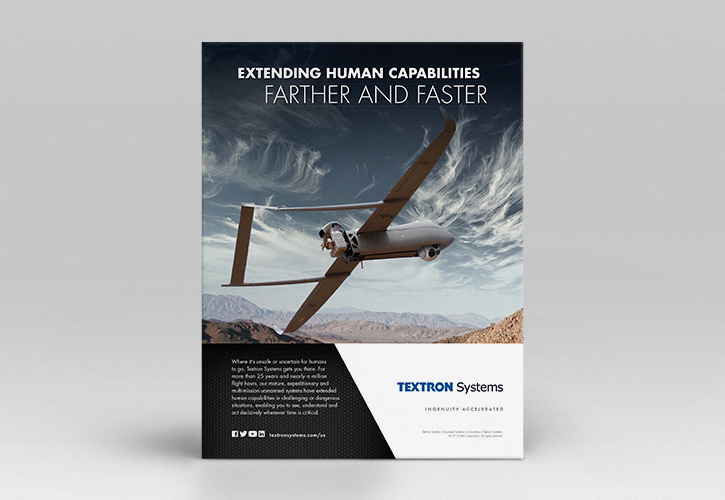 Textron Systems, a $12.2 billion multi-industry company with approximately 33,000 employees worldwide, selected The Cirlot Agency to develop a master brand for the company to incorporate the seven Textron Systems businesses. 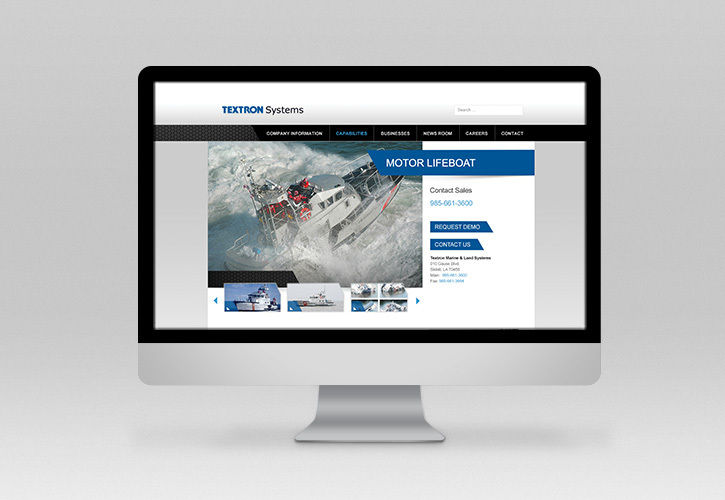 The purpose of the rebranding was to communicate a clearer message and company structure to customers, business partners, suppliers and employees. 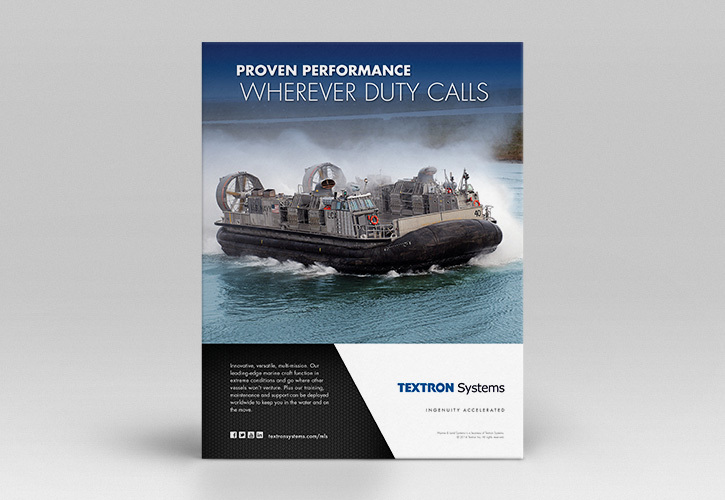 The Cirlot Agency began the rebranding process by developing a broader Textron Systems message that would still resonate with all businesses and stakeholders. 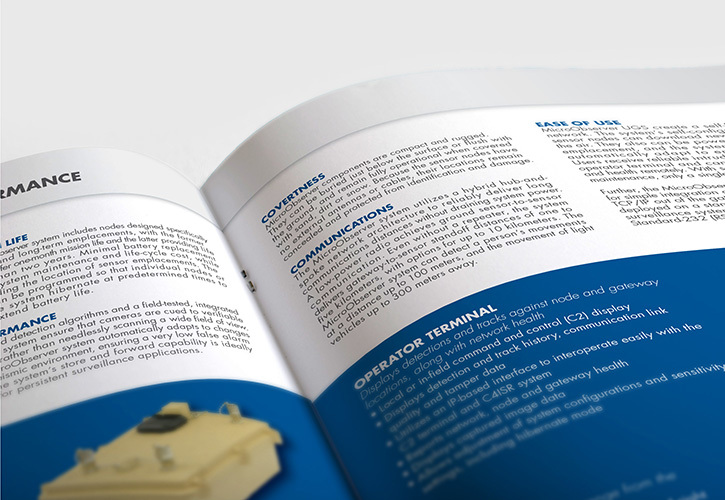 Individual messages were tailored to each business, highlighting each business’s unique selling proposition. 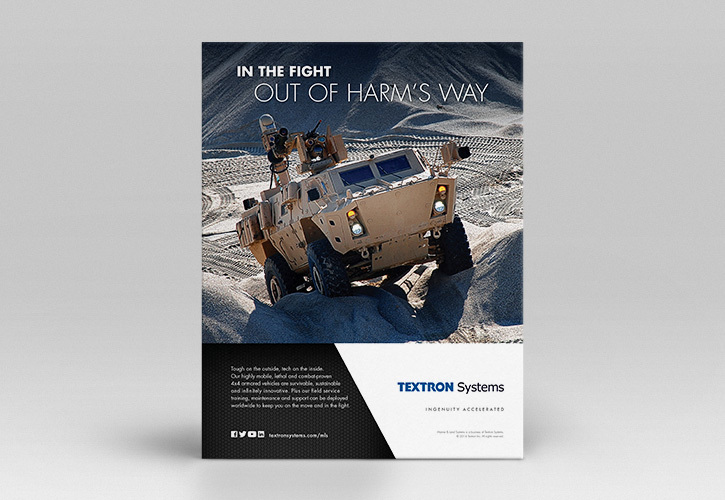 A new tagline and “look” was established to accurately portray the messaging and company direction. 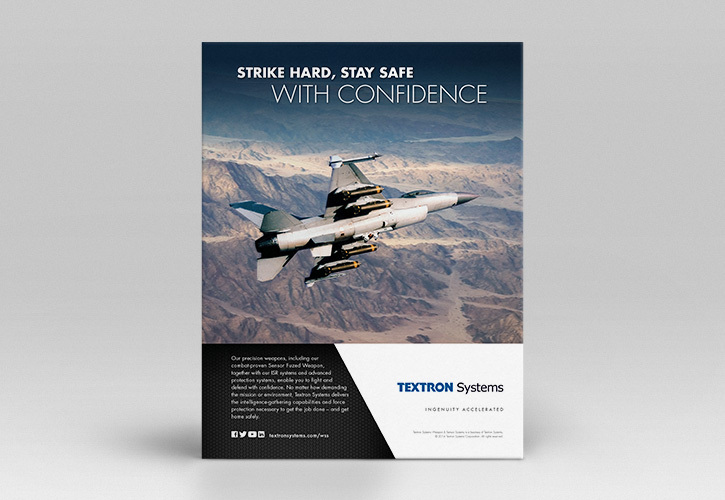 An integrated communications strategy was also developed to announce the branding effort and support increased brand awareness among target audiences. 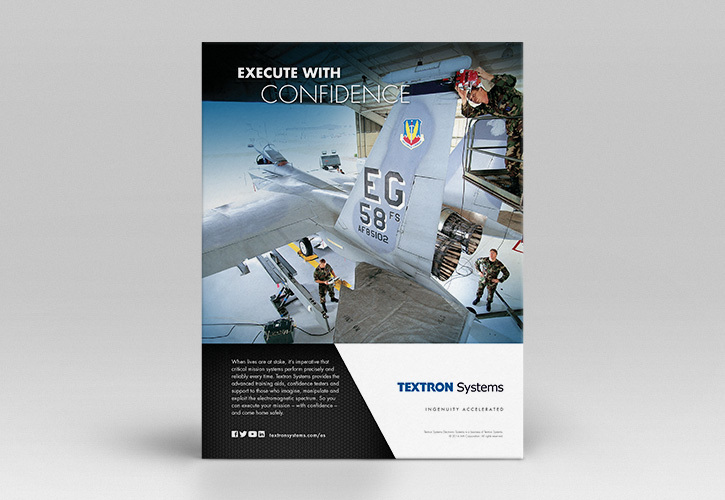 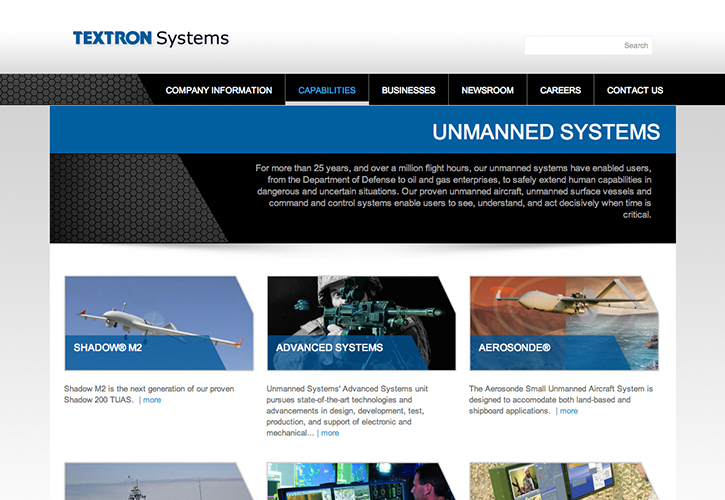 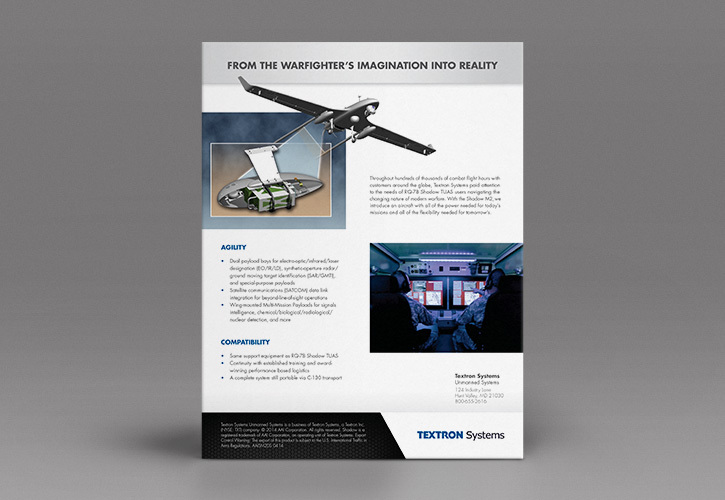 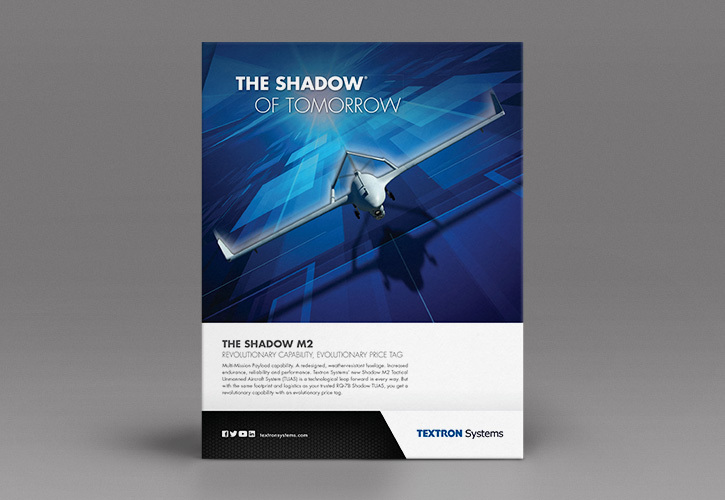 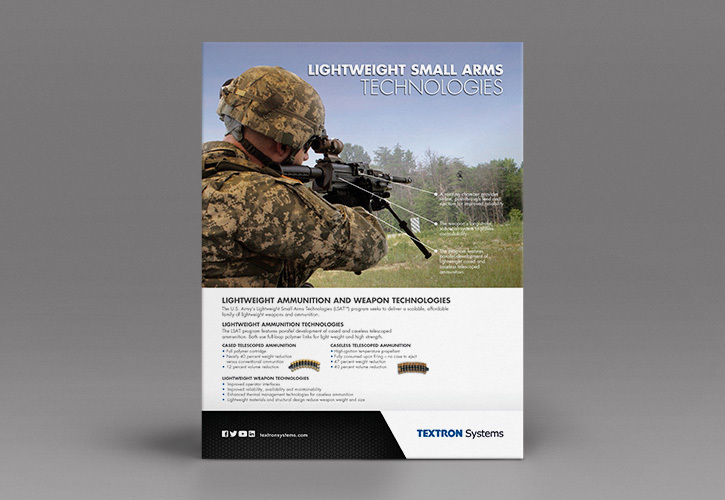 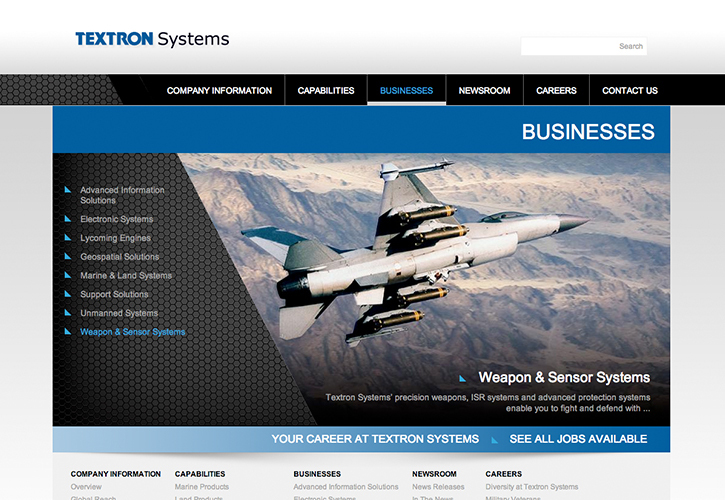 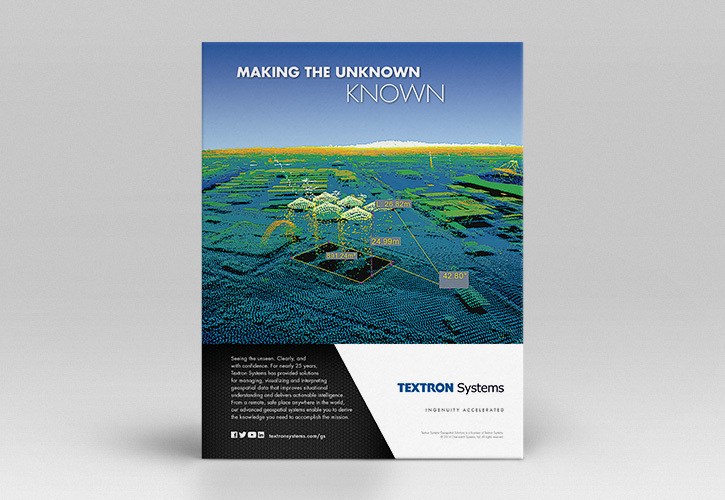 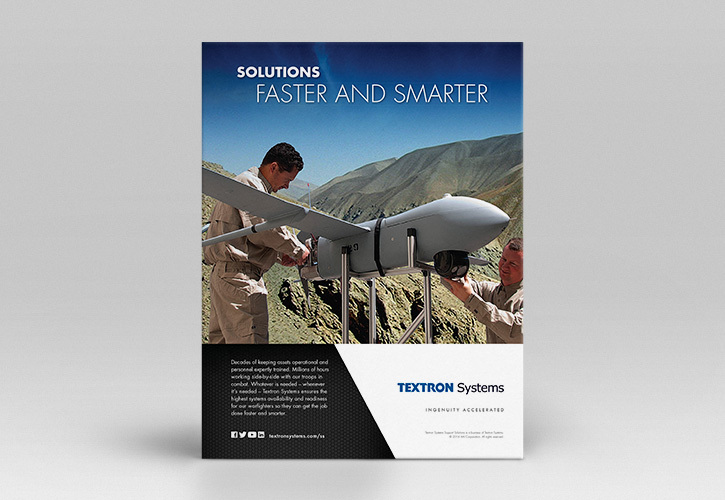 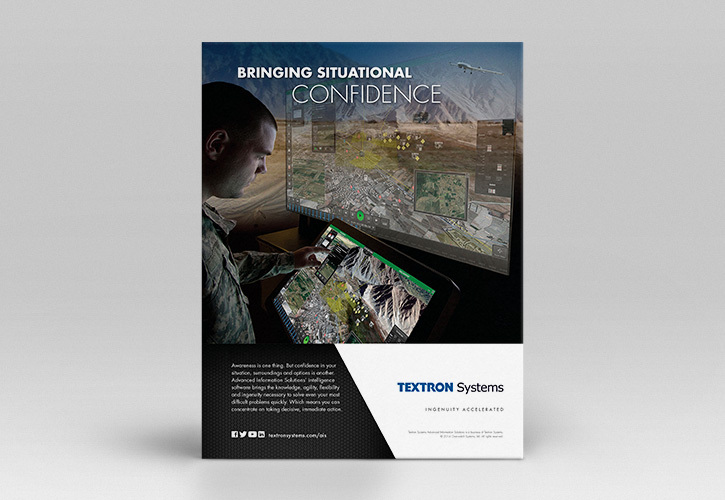 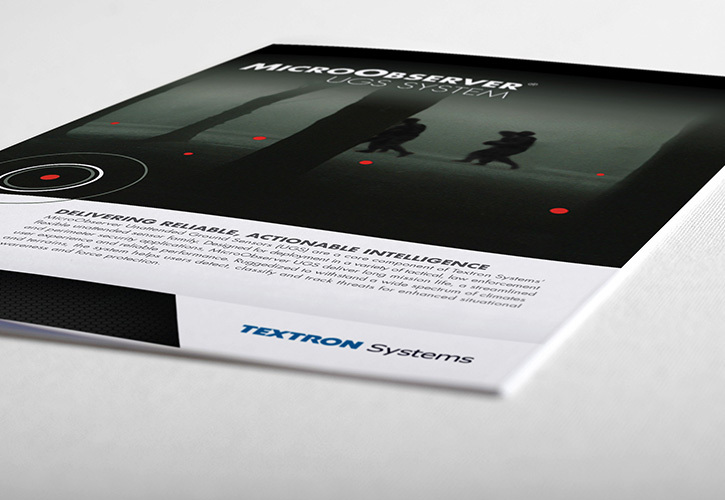 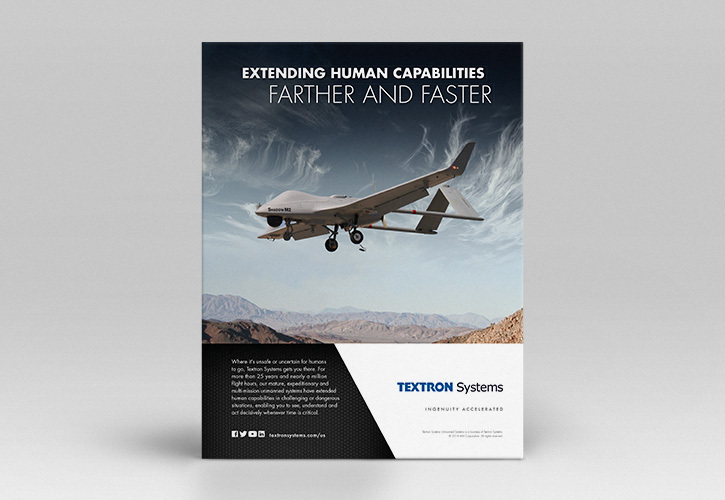 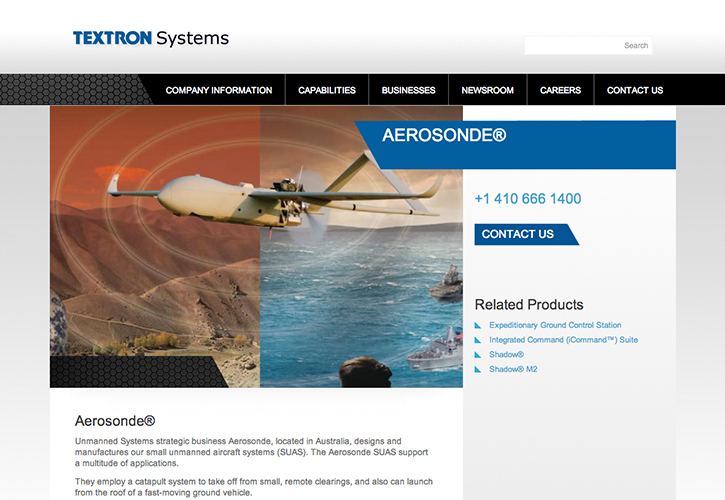 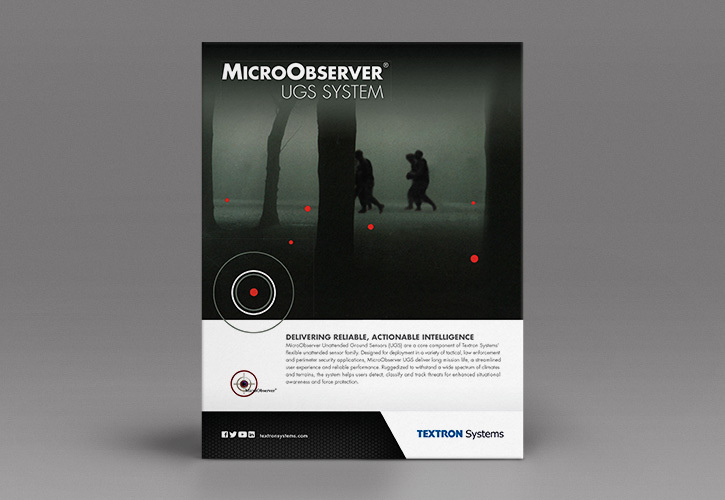 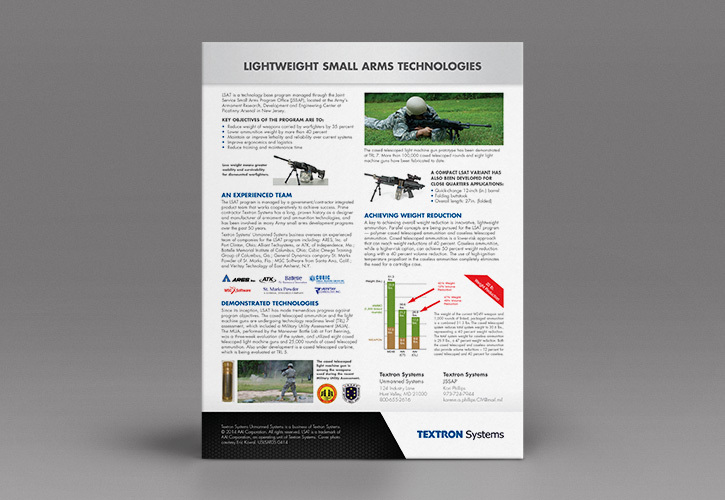 The rebranding campaign has resulted in a cohesive, clear message across all Textron Systems businesses. 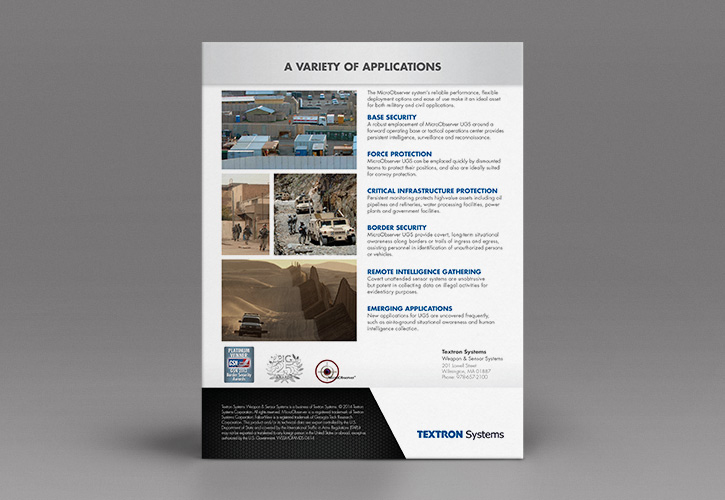 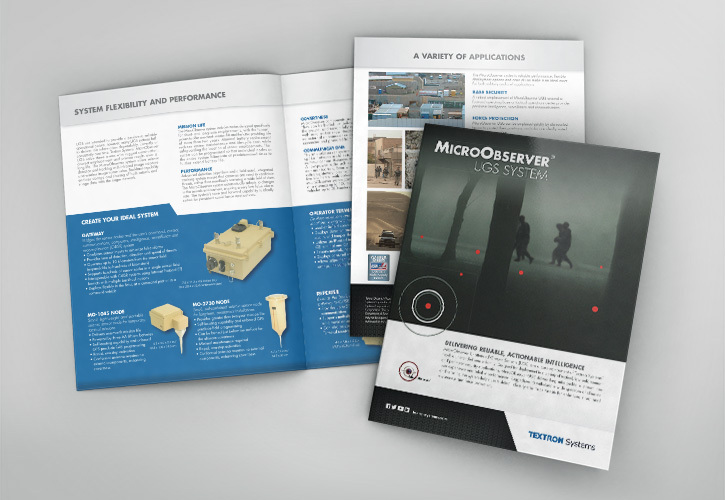 Marketing materials across all businesses have been redesigned to be consistent with the effort, including a refreshed website, social media graphics, tradeshow graphics, print/online advertising creative, over 60 brochures/datasheets, corporate overview video, internal communications, security badges, signage, brand guidelines and more.